Do you want to know your future wealth status? Definitely, the answer will be a big yes. You will be glad to know that via horoscope it is really possible to gain that information. To know your future wealth status, you will need your correct birth data. Some people face difficulties because of not having correct birth data. Though birth time rectification process is available in Vedic Astrology system, it has some limitations. This is why you may not get the correct prediction. Now what to do? Don’t worry, as one more convenient way is available by which you will be able to get a more appropriate result, and that is palmistry. In palmistry, you wealth status can be predicted on the basis of lines on your palm. Apart from palm line, prediction also depends on palm color and some other characteristics. 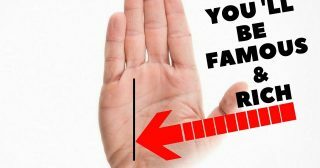 In this article, I am going to discuss how to predict wealth status in palmistry. Before you know about the lines, I am going to discuss the five fingers. Newbies may not know, that according to palmistry, the five fingers of the hand are related with five planets. • If you have any cross line over the connecting line of sun and mercury fingers, then some obstacles may come in your way. It indicates that you will face some difficulties to get your wealth. • If you have a black spot on your palm, then you may face some conspiracy while getting the money. Most importantly, if you are a male, then a female will be the part of the conspiracy against you. If you are a female, then the male will be involved in the conspiracy. According to the palmistry, the sun line is the inherited money line. Apart from the combination mentioned above, there are some other combinations which can predict about your wealth such as if many lines from different sources connect with the sun line that indicates wealth status. But the source of each line should be different from each other. The amount and nature of wealth can be predicted from the sources of each line. Moreover, the time of getting money can be predicted from the joining point. According to palmistry, you can predict about your self-earned money. As previously discussed, there are some lines which can tell about your self-earned money. There may be various types of indication anywhere on your palm. You may find many lines on your palm. You will be glad to know that these lines can tell about your self-earned money and wealth. There are some up facing lines starting from the life line on the palm. After a certain age, you can observe these lines on your palm. If these lines are uninterrupted, then it can be predicted that the person will get self-earned money at the age when lines start to grow. • If the line goes to the Mercury’s finger, then money will come from business hard This is one of the important combinations, but that does not mean that without this combination, one cannot be a business person. • We can earn money through various types of jobs or business. Here headline plays a very big role. The headline can predict mental power. Positions of the same can say about mental positions. If this line goes to the mercury line and is placed after the heart line under the Mercury’s finger, then it indicates the “power of determination”. This kind of line gives mental power to fight against every obstacle of life. This is the line of determination. If you have this kind of line, then you have a strong personality. You are determined to achieve anything. If you take any decision, then you don’t stop until you achieved it. • Different positions of the headline tell about different personalities such as if the line goes to the moon mount, then it indicates emotional personality. A person having this type of line is very emotional. He or she holds a different type of personality. This type of person starts many tasks at a time but cannot finish within the time properly. Before completing the previous tasks, he/she starts thinking about a new project. Generally, they think about a lot of things at a time and cannot fix one because of less mental stability. If the moon mount has some cross lines, then the situation may become worse. Now you may ask who could be a successful business person. A person who does not have mental stability, he or she never be a good business man. The first situation is good for business work. Other situations may be created if there are any cross lines or black spots on the Mars mount. Then the person may get overconfident. There may be some other situations such as if the headline is healthy and straight, then the result may be opposite because a healthy moon mount can be good for the person; it can bring a huge amount of self-earned money and wealth. Healthy moon mount indicates that the person is an artist. This type of person has a good imaginary power which is a very important factor for an artistic person. Whatever you want to do in your life that will need a stable environment and strong mind setup. If you are master of your mind and have sound personality, then success will definitely come your way. How much you will be successful in your professional life that can be predicted from the type of your headline. If the headline is faded somewhere, then the person will not get any money throughout that period of time. If there is a cross on the headline and the crossed line is coming from mars mount, then it indicates a loss in business or any type of job because of rivals, competitors, or colleagues. Exactly who will be responsible for the loss also can be predicted from other signs of the palm. You may come to know the reason of having a loss. If lifeline is fade at that particular time, then you may incur huge expenses due to health issues. If you want to check about the health issue that also can be known from the headline, lifeline, and Heartline. If there is so many upwards, a line from the headline that actually indicates prosperity, wealth, new job, etc. You can get money in any way, but the way of getting wealth is definite. If you see a triangle on the headline, then it indicates a sudden increase in income or money. You may get a sudden jackpot, or your continuous flow of income may be increased up to a great extent. To understand this, you have to check the fate line. Why you will get the sudden money can be predicted from the fate line. If there is a triangle or some upward lines on the fate line and star sign or Venus or triangle in rahu mount, then it tells about the gaining of huge unexpected wealth. What amounts you will get that depends on the healthiness of mount and lines. Healthy lines will give you huge amount, and unhealthy lines will give you less amount. In this scenario, you will get wealth. If at the same time fate line is only prominent but there is no other combination of lines on any mount, then fate line and headline will give you only good opportunities to earn huge amount of money. In this scenario, there will be no sudden unexpected money. Fate line plays a very big role in palmistry. Saturn controls this line. This is why it is well known as the “line of Saturn.” Saturn is the symbol of hard work. If you notice a triangle on the headline and the fate line is also very prominent at the same time, then the person having this combination will surely get a huge amount of money. In this scenario, the person will get good opportunities to earn money easily, and he or she has to do hard work to get it. There may be any downline from the headline, and that is a bad indication. This sign is not good for wealth. 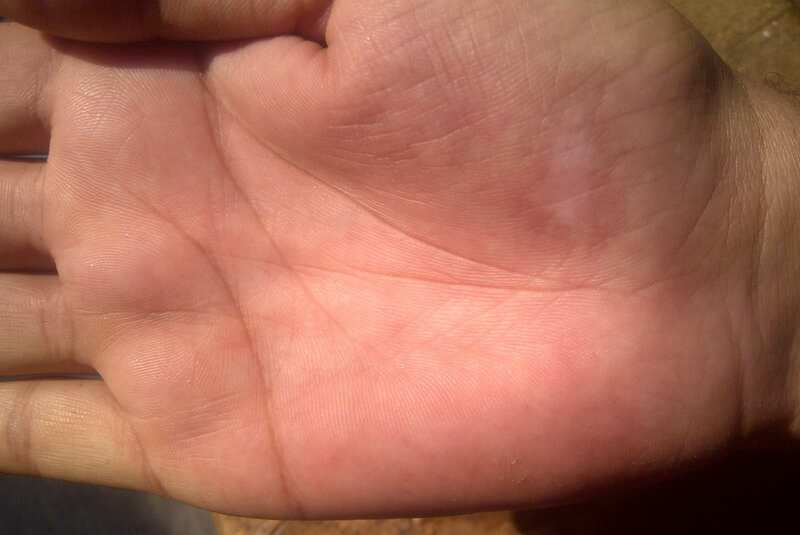 If you have this type of lines on your palm, then you may face monetary loss is your business. You may face many problems in your work field which may lead to the huge financial losses. This kind of lines also indicates that you will have monetary losses due to your wrong decisions. If the headline is slightly tilted towards the moon mount, then it indicates that the person having this line takes decision emotionally. This is why there is no chance to get back the lost wealth. If the headline is tilted towards the Mars mount, then it indicates the person having this line does not take decision emotionally. The person may face a monetary loss because of wrong calculation. Check your palm lines and if you find this type of line at any stage of your life, then it is better not to take any important decision in investment or business at that time. To avoid monetary loss don’t forget to check your palm lines. If the headline is divided at the end point and one line goes to the Mercury mount and another one to the Mars mount, then it indicates good sign in business. A person having this type of lines can earn huge amount of money in business. If the line goes to the Moon mount instead of Mercury mount, the person having this type of line may face problems. Even the person may become poor condition due to huge losses in business or investment. In this scenario, if the Moon mount is prominent, then the person can be mentally strong and rich but not able to earn money and wealth through business. If a line coming from Saturn mount and crosses the headline, then the person having this type of line will face the financial problem. Financial trouble may occur from the closed one or enemy. At the first stage the person may not able to recognise enemy, but lastly, he or she will recognise enemy. The enemy will be caught at the last stage, but the person already has got the serious financial loss. In this same scenario, Jupiter mount should be strong enough. If the Jupiter mount is not much strong, the person may not be able to recognise enemy also. Saturn may be responsible for this type of enmity. If the Saturn mount is strong, then the person having this type of line will have enemies who will back stab you. 1. If there is a line coming from Venus mount and going to the Sun mount or Mercury mount, then it indicates money consciousness. If you have this type of line, then you are very capable of earning huge amount of money. Money may come from business or investment or job. It actually depends on the nature of the line. If some break is seen in the middle portion of this line, that indicates that you may face obstacles in earning money. You may find breakage anywhere in the line. If the breakage is at the starting point of the line and the line goes to the Sun mount or Mercury mount, then it indicates that you may not get the money or wealth according to your expectation. If the line becomes prominent after the breakage, then it indicates a huge amount of unexpected money or wealth which may be beyond your expectation. There may be any black spot on the line. If you have such spot, then you may face any types of legal harassment such as wealth matter or court cases. There will be high risk to face legal harassment if Mars mount indicates the same thing. Apart from these predictions, if you have a curvy line, then you will definitely face wealth or property related problem and the problem will be continued for a long time. 2. If the three mounts are healthy, then you will be wealthy in future. Sun mount, Jupiter mount, and Venus mount play a very big role in palmistry. These three mounts are very important to check your money and wealth status. Mercury mount is also important, but it is considered as secondary. These four mounts decide how much wealth and money you can achieve in your whole life. 5. If any line coming from the life line, goes to the Saturn mount by crossing the heart line, then it indicates the sudden gain of the huge amount of money or wealth. In this scenario, wealth and money will come from promotion or a new job with the salary hike. Money may come from the business also. 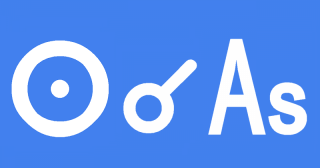 If the same line touches deeply with the Saturn mount, then that is not a good symbol because it may bring other types of problems in your way such as frustration or misery. 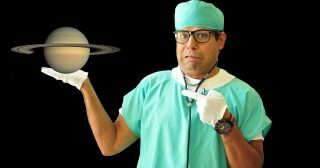 Saturn is well known as the planet of misery and negativity. It may bring misfortune in your life. This is why prominent Saturn mount is considered as the bad indication. You can learn about life but in a very harsh way if you have prominent Saturn mount. 6. If a line from the Moon mount goes towards Saturn mount by crossing the heart line and stops there, then it indicates prosperity, wealth, and money. A person with this type of line will gain lots of money and wealth, and the person will help others. In palmistry Moon signifies mass. This is why it brings wealth and money, but the native person has to depend on others to get this. 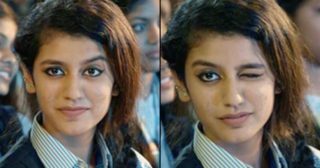 If affection line prominent at that same time and indicates the same thing then the person will get money and wealth from female and may be from the wife. Some lines and Venus mount decide whether the money will come from the wife or not. 7. Another very important mount is Venus mount. Venus mount should be checked carefully because it indicates luxury in life. Venus mount should be broad and prominent for this. Any wrong lines from Venus mount or any signs can make Venus mount weak which may lead to monetary loss. 9. Lines of palm make the shape of various English capital letters. If the head line, heart line, life line make “M” together, then it indicates the gain of wealth and money. This can tell us that the person having this symbol will definitely get wealth and money after marriage. How much money the concerned person will get that depends on the nature of these three lines but the sign “M” should be very prominent and clear. I have noticed that there are so many persons who get lots of wealth and money after marriage. This type of person gets inspiration from marriage and starts earning money. Here inspiration is the main factor. Inspiration plays the main role here. 13. If a line connects two major lines such as heart line and head line and another line coming from that connecting line and goes to the Sun mount by crossing the heart line then it indicates that the person having this type of lines can earn money at any cost. A native person can do anything to earn money, success, name and fame. The way of earning money may be legal or illegal. That may be harmful to others. 14. If the headline is originated from the Jupiter mount and one small upward line goes to the headline and joins with it, then it indicates that the person having this type of line will become extremely rich in life.